Whether one injection-moulded component or two of them, we offer the optimum production process for your products. 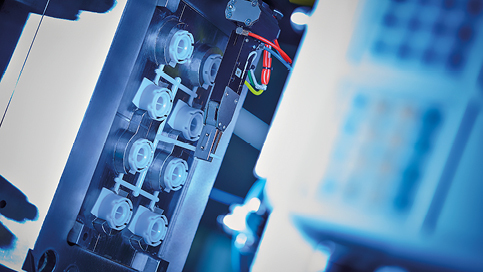 In order to meet individual demands of our customers, we have at our disposal 17 most state-of-the-art injection moulding machines in our production facilities. 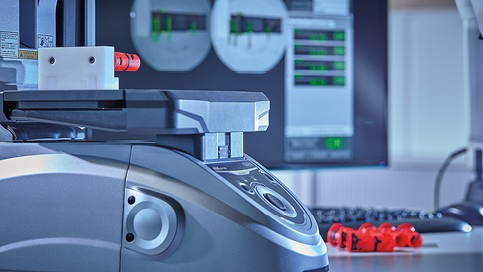 These machines have a locking force between 25t and 320t and they are capable of realizing the component weights in the range from 0.1g to 1,100g. The 2-component injection moulding represents a special feature. The injection-moulded parts can be made of two different plastics which have some special properties, thanks to the 2-component injection moulding process. 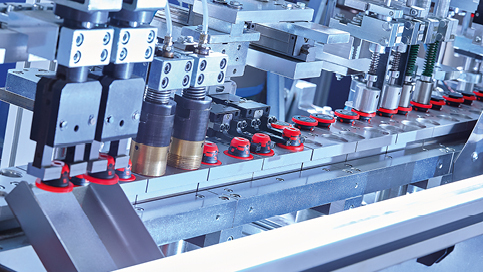 The hard- or soft-compound connections such as injection-moulded seals or handles of the manual tool and machines can in particular be produced within the framework of the 2-component injection moulding process. 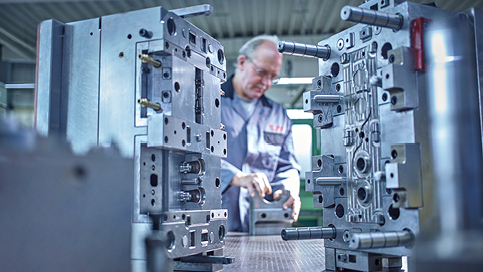 Quick realisation of orders and projects is ensured thanks to our in-house toolmaking and mould-making. Our in-house toolmaking is primarily concerned with the maintenance and repair of already existing injection-moulded tools. But the production of new tools, prototypes and sample tools or construction of assembly systems also are among the scope of our services. We develop and produce complex tools such as 2-component tools, together with our partners with whom we have been having excellent cooperation for many years now. In order to ensure the process safety of the injection-moulded tools, we pay special attention to regular maintenance and cleanliness of the tools and production facilities. The requirements for your products represent the key factor during development and construction of your products. As an inventor, you know exactly how your product should look like later and what its exact purpose is – We as suppliers know how to produce them in a most cost-effective and cost-reducing manner. We will gladly support you during development of your parts and the injection-moulded tools associated therewith. 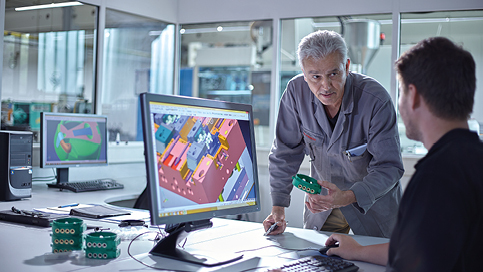 Together with the selected parters, we process the production-ready solution concepts for you. Even the production of prototypes is among the range of our service offer. In this process, the full-scale models will be prepared for evaluation of the external appearance as well as function models. We do not only manufacture your products but also assemble them as needed. From individual modules starting from the small series all the way to the fully automatic completion of your product with 100% testing – We know our stuff! For instance, up to 75,000 units of fully assembled combined seals which are fully checked for leakages leave our factory every day. Satisfied customers represent the highest standard for us and for this reason, we do not only want to check the quality of our products, but also to produce them in accordance with these high-quality standards. Our production facilities have the most state-of-the-art process monitoring systems which facilitate a consistent recording of the production process. Furthermore, our experienced employees supervise the quality assurance of the production and assembly process as per their specifications. This includes not only the check of dimensions and visual inspections but also inspection of forces, torques, leakage points and checks for completeness.